For years we have waited and watched, hoping for the inception of the ultimate inshore Baja angling venue. We wanted first class meals and accommodations, guides skilled in understanding the needs of fly fishers, and a pristine, protected white sand beach in front of it all. This year due to efforts of veteran guide and founder of Beulah Rods, James Shaughnessy, our call was finally answered. Located 45 minutes southeast of La Paz, Mexico, Bahia de los Sueños is centrally located amidst Baja’s most prolific waters. With gentle seas and a precipitous drop of the ocean’s floor, fly anglers enjoy world-class fishing for roosterfish, dorado, billfish, tuna and wahoo under the guidance of James and his crew of skilled pangueros. For all who have waited for a crack at a big roosterfish on a fly, consider the wait over. 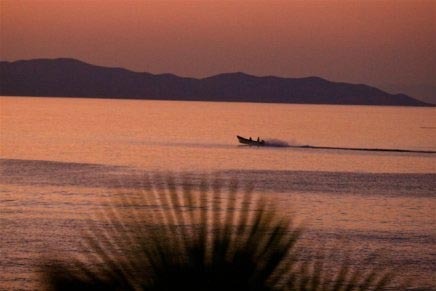 To get to any of the Baja Adventures, you will need to make travel arrangements to La Paz, Mexico. From there, all transportation will be provided. You must have a valid US passport to enter Mexico. This will be used to obtain your Mexican Tourist Card. Keep your copy of the card with you during your stay. No inoculations are required. The fishing day begins and ends on the beach in front of the property. Captains pick up guests on the beach in front of the house for the days’ fishing. Live sardines are obtained and used as chum to attract fast moving species near to the boat and hold them in the area. Flies are then presented. The action can be fast and furious. A strong double haul with quick delivery will increase your odds, and distance is also an advantage with shy fish. 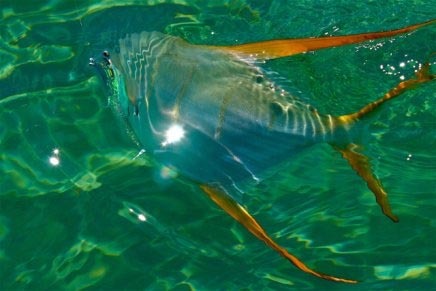 Dorado and Roosterfish tend to be the predominant target species for fly fisherman, and although both species are in the area during late spring and summer, some times are better than others. During May and the beginning of June, large roosterfish migrate into the area and will aggressively take a well placed fly. 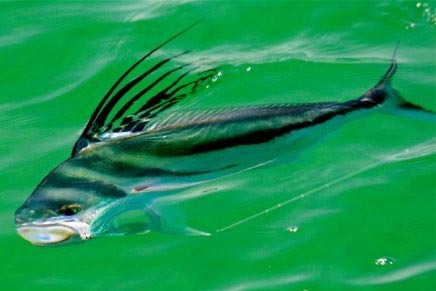 As the season progresses, the larger roosterfish move off to deeper cooler water and become more cautious. 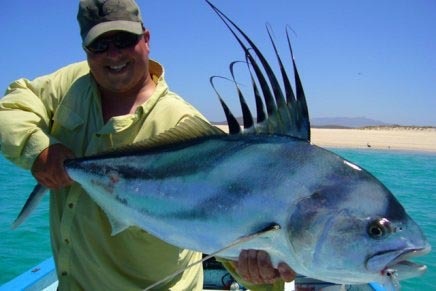 10-15lb roosterfish continue to be abundant throughout the summer months. As the summer progresses and hot weather sets in, Dorado (mahi-mahi) appear in greater numbers. Any floating structure has the potential to hold fish. Commercial sharking buoys set by local Pangueros are frequented by fisherman and a handful of live sardines can get the party started. A fierce take and acrobatic displays make this one of fly fishing’s top sport fish. Another species that has been showing up in the last 3 years is milkfish. Massive fish in schools of 50-200 fish are found feeding lazily on the surface. They are finicky but can offer some solid potential. 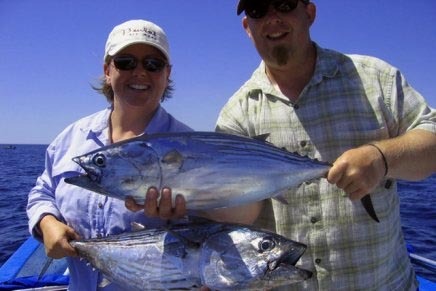 Each boat has one captain (guide) per boat that is friendly and well experienced with fly fishing. The guides’ English is limited but they are able to communicate. They actually know quite a bit of English but are extremely shy. Your fishing host, James Shaughnessy will rotate between boats throughout your week to offer more detailed fishing instruction to anglers.